Lt. Gov. 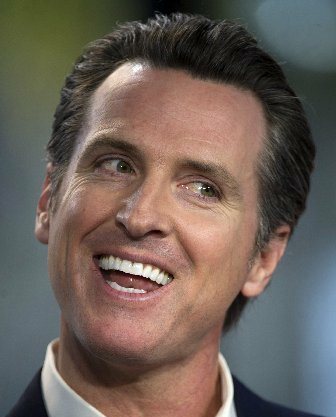 Gavin Newsom has reclaimed a clear lead in the California’s top-two governor’s primary, with fellow Democratic former L.A. Mayor Antonio Villaraigosa falling into a virtual tie and slightly behind Rancho Santa Fe Republican businessman John Cox, according to the most recent survey by the Public Policy Institute of California. In the January PPIC survey, Prince Gavin held a narrow 23-21% lead over Tony V – a virtual tie. Villaraigosa’s 4-1 lead among Latinos appeared to be his best hope. U.S. Sen. Dianne Feinstein has locked in her lead in the race for Senate over her Democratic challenger, Senate president pro tem Kevin de Leon, continuing to crush him across the board, including among Latino likely voters. 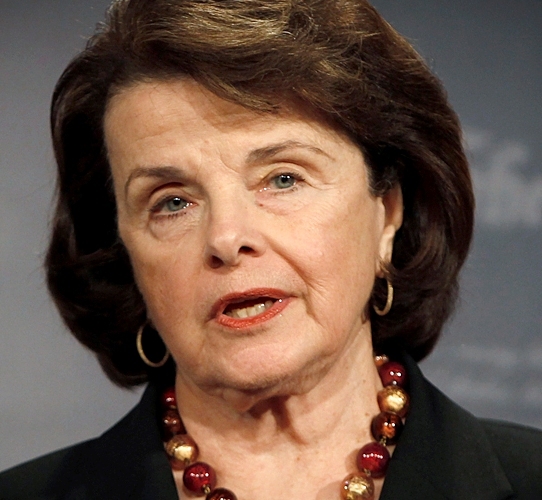 The survey found Feinstein ahead 42-16%, including a 41-22% margin among Latinos. Tony V faces heavy lift The March 4-13 survey – with Newsom up to 28% and Villaraigosa down to 12% — suggests that unless Tony energizes his Latino base – where he leads with 37% compared to 19% for the Prince and 11% for Cox – and picks up more support among independents and Democrats, he’s in danger of failing even to make the November run-off election. Even if Villaraigosa picked up all of the vote from state Treasurer John Chiang (6%) and former schools superintendent Delaine Eastin (5%), he would still trail Newsom, but he might be assured of a second place and a shot in November. Cox has doubled his standing since PPIC’s last survey while fellow Republican, Assemblyman Travis Allen, inched up to 10%. Newsom pushed ahead of Villaraigosa by improving among Democrats and Latinos, while the former Assembly Speaker lost ground among both of these key cohorts in the electorate. PPIC’s total likely voter sample included 62% whites, 19% Latinos and 19% other races. But in the governor’s race – according to PPIC’s crosstabs – 21% of the voters were Latino, suggesting Villaraigosa would have to do significantly better among this slice of voters to make it to the run-off election. What party endorsement? In the Senate race, DiFi’s margin is suppressed only because 71% of the Republicans and 43% of the independents have no candidate to rally around and thus remain undecided. She’s carrying Democrats better than 3-1 – 66-20% — giving lie to the so-called analysts who suggested that her failure to win endorsement from the recent California Democratic Party convention showed she was in trouble. Trump’s negatives Earning its reputation as a bastion of liberalism, California’s approval rating for President Donald Trump is just 30% versus 65% disapprove. Even in Republican Congressional districts, Trump’s approval rating among all adults is 58-39% negative. But that does not necessarily translate into power at the voting booth. Among likely voters, Trump’s approval rating in California is 37% positive and 61% negative and – importantly – in Republican congressional districts it’s 52-46% on the positive side – suggesting a difficult challenge to Democrats who hope to use Trump’s standing as a weapon against incumbent Republican congress members. Statewide, while 57% of independent and 91% of Democratic likely voters disapprove of Trump’s performance as president, a whopping 84% of Republican likely voters approve of the president. PPIC interviewed 1,706 California adults March 4-16 by landline and cell phone. The sample included 931 respondents PPIC identified as likely voters. The margin of error for all adults was +/- 3.4% and for likely voters it was +/- 4.5%.